Members of the Marseille's Global Bass scene, Azuleski & Goodjiu play the association of sound benefactors and dance-floor agitators. Their studio productions and live shows alternately borrow to the nueva cumbia, Trap or tropical Bass. Boosting the Latin America traditional rhythms with digital sounds, BAJA FREQUENCIA plays with their machines with a contagious frenzy. A pyromaniac duo, armed to transform each gig into torrid parties. 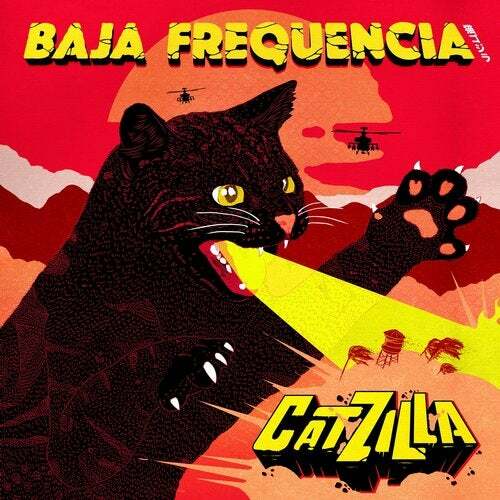 For this first release of BAJA FREQUENCIA, the label Chinese Man Records proposed to the band to invite several artists to join them in their universe. On one track, the jamaican singer SKARRA MUCCI, on a other the american rapper BLIMES BRIXTON, the french toaster TAIWAN MC, the Cuban singer of LA DAME BLANCHE or even the French-Spanish producer RAFAEL ARAGON. The label also proposed to the group to be accompanied throughout the production of this release by members of the group CHINESE MAN as artistic directors. Finally, the mixing and mastering was carried out by Anthony Menetrier who worked with the SCRATCH BANDITS CREW duo and the French rap collective named L'ANIMALERIE.